Lately I have been thinking a lot about uncertainty. Especially Uncertainty in the weather. 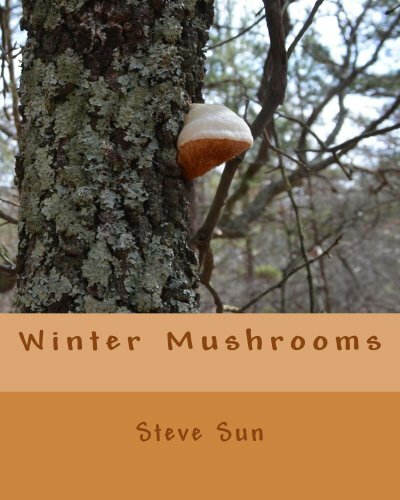 Today is December 2nd, and today I was nibbling on some autumn olives (Elaeagnus umbellata), and I also saw a few pictures of some huge oyster mushroom scores yesterday. The reason this is so noteworthy, is because December is not usually thought of as a go to month for foraging. Especially where I dwell, in beautiful Northern Michigan. Typically, the only thing that is Foraged this time of year is some pine needles, or Chaga mushrooms. Things that do not care about snow or cold. Another thing that has struck me recently, has been my lack of foraging, even though the weather is definitely forage-worthy. Not that I have not foraged, but it is that my foraging has been dialed back, because of my expectations for a coming snow that has yet to come. And this makes me think a lot about being Human, and being able to go with the flow of our changing weather patterns. And specifically it makes me feel like I need to get my to gatherin' while the gatherins good! I have been putting a lot of my attention toward hunting lately, as I am wont to do in the colder months of the year, but this year it has become increasingly clear to me that I need to focus on both simultaneously. Foraging and Hunting are both things I do to secure free, wild and nourishing food from the land. And this weather is telling me that I am ignoring the bounty the land has to offer by only focusing on one aspect of feeding myself right now. As someone that prides myself on how much wild food I eat, I can tell you that it weighs heavy on me that I haven't been putting in more fields and forest time. One of the best things I know of for getting motivated for wildcrafting in uncertain weather is reading a good book on our hunter/gatherer ancestors. Nothing gets me more amped up for self-reliance and craftiness than reading about people that did not have grocery stores. We are all so blessed that we can go to a grocery store any day of the week and buy all of our food, but once this was not the way it was, and a strong case can be made for our deleterious health as a by-product of 24/7 food availability. Why should I buy greens at the store when I can still go down to my super secret watercress(Nasturtim officinale) spot, and fill my greens-for-the-week quota? Typically Watercress is not available this time of year, but as a strategy for being a better forager, we should all be practicing the art of foraging in uncertain weather. Don't plan ahead for crappy weather. This puts us into a No-foraging mindset, and we don't go out even when the weather is good. Keep baskets, and other foraging gear in your car. One thing I have noticed is how quickly I ditched my gear into my house as a result of the date more than the weather. Stay prepared. Keep some warm gear in your car that will allow you to stay out for extended periods of time. Boots, gloves, scarf, thick socks, etc. Learn to do some dead plant I.D. It is really worth your time learning to Identify plants without their leaves, dying, dead and in a state of Decay. This one aspect of foraging is very huge, and possibly requires an additional blog all of its own. But it is definitely huge. I wouldn't be half the forager I am without this skill. Keep up a mindset that encourages foraging no matter what. Our Ancestors would have considered weather like this a blessing, as tubers can still be dug, greens can still be gathered, there are still berries clinging to bushes, and apparently there are still oyster mushrooms about. Let's not hide away in our houses because the weather is a tidbit chilly. This past two months have been a learning experience for me. Every year more and more of my diet comes from wild sources, and this year I have seen an explosion in my ability to feed myself. If you too feel the urge to eat as much wild food as you can then I definitely encourage you to get out there now. The climate and the weather may be uncertain, but our ability to change and adapt to the circumstances is not. We are such a successful species because of our ability to adapt and change, so let's get out there and forage while we can. Wild Peppermint, still completely harvest-able with snow gracing its leaves!